The SEO industry is changing a lot and it is important to ask several important questions before you actually hire an SEO. 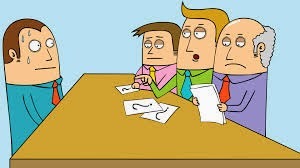 Here are the top 5 questions to ask in an interview before you select any candidate. 1- What is your biggest achievement as an SEO? This question will help to judge the knowledge of the person regarding what he/she considers as the most important task of the work. If the answer is "I achieved top 10 rankings for x number of keywords" then the person is clearly not knowledgeable enough to get hired. 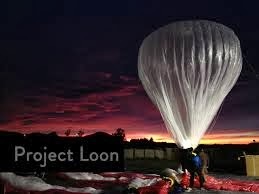 When we talk about "biggest achievement", it should be really something big which had helped the company to succeed. 2- What is your biggest failure as an SEO? Many will get scared of this question. A person who truly understands what SEO is all about have had several failures in the job. It is nothing to worry about. Failures are a stepping stone to success. The answer to this question will provide an understanding about the trustworthiness and knowledge level of the person. 3- What is the maximum amount of traffic you have achieved so far on an individual site? This question will give an idea about the level of responsibility handled by the person. Depending on the size of traffic, an idea of the team size and the burden of work can be analysed. 4- Tell us about your role in tracking conversions and increasing ROI? the inner qualities of the SEO and his level of thinking. 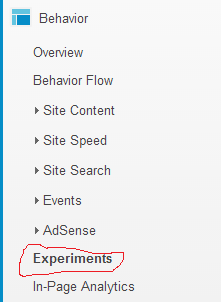 If the SEO is experienced and has not worked on conversion tracking then something is surely missing. 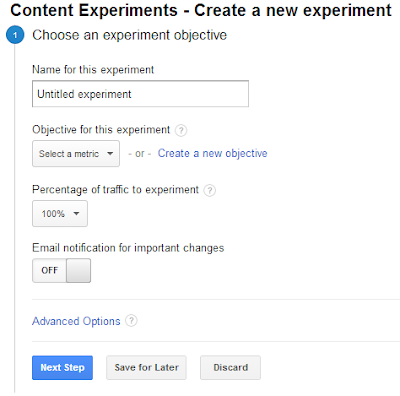 5- How can you rank your site by keeping it safe from any past or future Google updates? This question is a real test for SEO's. A good SEO should have an idea of the past Google updates and how to keep a site safe from that. 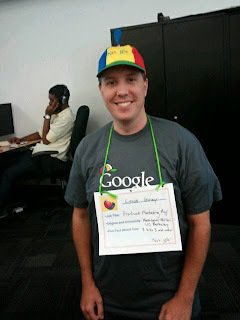 He must also have an idea of the changes Google might implement in future. A practical answer to this question is what is required. A knowledgeable, experienced and practically strong SEO will have an answer ready for this question. If you think there are some other questions which are important and should be put up then please share them in the comments given below. Competition is constantly increasing and to increase the rate of conversions coming from your site, you need to think like an expert and use special tools that enhance your power to gather and analyze data. In a broader sense, competitor analysis (CI) is the study and analysis of data gathered from your competitors. The Essentials- How to Perform Competitive Analysis like an Expert? Specify the Objectives- Before the start of any campaign, you must take some time and list down all your objectives which you are trying to fulfill from the campaign. Identify Your Biggest Competitors- Create a list of your brand rivals. Instead of identifying the top 3 competitors related to your targeted keywords only, try and check the overall traffic of the top performing sites and analyze them separately. Identify Strengths- The next step is Observe Their Products and Services- Check out their services thoroughly and carry out a comparative analysis what your products/services are missing. Strength: Identify the biggest strengths of your competitors. Factors like their social media existence, their clients, the most linked to pages that they are having on their site etc. Weakness: Find out the weakness by identifying factors which your competitor is lacking and which you can make use of effectively. Opportunities: Carry out a separate campaign to identify opportunities that you can capitalize upon. Threats: Find out the threats that your competitor is facing. 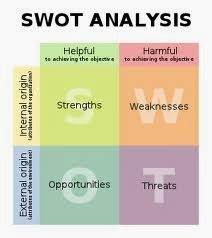 Now, carry out a similar style SWOT analysis on your site. What are the Types of Data that I Need to Gather? Keyword Data- Identify the keywords for which your competitor's are ranking on the search engines. You may use tools like SEMrush and Alexa for this task. PR Data- Identify the sources which are mentioning about your competitors brand. 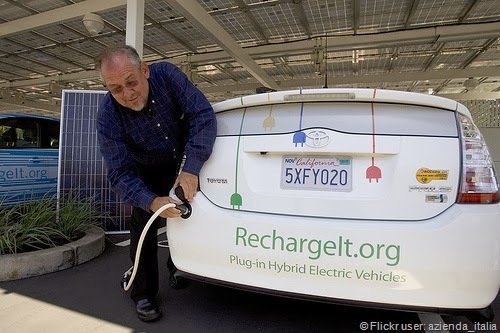 Who is taking care of their branding? How is the PR department channelizes information and makes it newsworthy? How many press releases does it sends over the month? These and many more questions should be answered while gathering the PR data. Services Data- Identify the services that your competitor is offering. Prioritize the important sources that are generating the maximum revenue and buzz for the company. Geolocation Data- Track the locations where your competitor is generating the maximum revenue. Identify the sources that are leading to that growth. This will help you to identify your own markets where you can witness an exceptional growth. What are the Tools for Compiling Data? Thanks to the scientific and analytical approach that is being applied to the gathering of data, there exists several tools for analysis competitors which you can use for your business benefit. Semrush - One of the best tools for analyzing competitive analysis data which provides information related to the current search engine traffic and the organic keywords that are sending in the organic traffic. It also provides data related to the backlinks. OSE- The Open Site Explorer helps to display the domain level data related to the website. It displays the domain authority, backlinks, anchor text and social metric data. Ahrefs- The expert link analysis tool which displays detailed link level data like number of linked domains, referring IP's, anchor text, top pages, lost backlinks over a period of time etc. Alexa- This site analysis tool lets you quickly identify the popularity of any domain. It displays the global site rank and local site rank in the most popular country. It also displays the audience demographics as well as the top keywords sending in the traffic to the site. 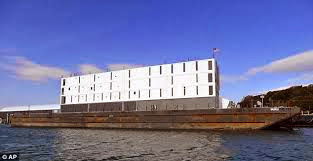 Did you know that Google processes around 20 petabytes of information on a daily basis? Being the world's number one search engine of this world, almost every person using the internet uses Google at least once. The infographic shared below shares the amazing facts about Google. Backlinks created by people other than you are known as natural backlinks. But, there are certainly some strategies used by SEO and webmasters which helps to earn natural backlinks to your site. For those of you who don't know the relevance of natural backlinks, links are the most important factor on which Google relies to judge the overall importance of a page. A site having high authority natural backlinks having natural anchor text has every chance of ranking well in Google. People love "How to's" and you will be amazed to learn but it is true that a lot of people search with the keyword "How" in their search query. Adding a complete section of "How to's" will make the site more user friendly as many would be willing to link back to their favorite how to tutorial. People love videos. In order to fulfill the demands of the video sharing community, you must have a separate section of videos in your site. The more videos you would be having, the more will be chances of getting your video URL shared between industry enthusiasts thereby providing you with an option of getting a natural backlink. Blogs are a great way to keep your site fresh and updated. People love to visit sites or blogs that are updated frequently. If the people visiting your site love the content, they will share it on their social networks or blogs and you will get a backlink in return. 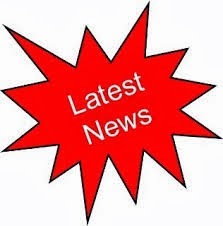 Latest NEWS and industry updates receives the maximum number of shares. Always try and get the latest industry news covered and published in your site. People looking for latest updates would visit your site thereby increasing the chances of getting backlinks. Get in touch with the industry leaders related to your niche and start interviewing them. All the followers and fans of the industry leaders would then come to your site reading their interview and build some natural backlinks for your site. You never know, the industry leader himself might add a backlink to your site from his/her site. This is Gold rush of links on both hands. Infographics are an easier and a fun creative way of getting link backs. You can publish infographics on topics related to your industry along with a small linking code in order to receive links. Sometimes universities and other educational institutions publish infographics on their site by providing due credit to the creator of the infographic. Always remain in the NEWS. Press Release sites are the best way to remain in the NEWS. Many journalists and local news agencies always look for some newsworthy material to publish on their site. You never know, a single press release might get you a bunch of natural backlinks in return. Analyse your competitors and track what is missing. Leverage on that missing component and see people get excited about your brand. If people lacking a vital component from your competitors brand suddenly find that in your company, they will start talking your brand. This will start generating not only backlinks but goodwill and customers for your business. Social signals are no less than backlinks. In order to enable social sharing of your posts, you must include social sharing buttons on your website. Online promotion does not only means promoting your brand online. Brands that boost up their brand image offline receive the maximum online publicity. Hence, all forms of offline advertising is the key to getting citations and links back to your business. How about organizing some events and inviting industry recognized experts and local reporters in it. This will provide additional coverage about your brand and deliver exceptional results you have never imagined. Tie Ups can rock solid your link earning potential. Try to get tie ups with brands and channels related to your industry but never ask for a link back in return. Approach them only by way of increasing your business and believe me, some brands will show appreciation by linking back to your site. stand times to come. 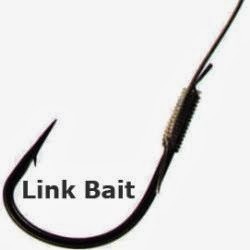 A creative, unique and passionate link baiting strategy can get hundreds or thousands of backlinks for your company. Use the power of content curation sites. Sites like Scoop.it and List.ly are great link earners. You only need to solidify your presence in these sites. Do not just share links but think about the reach in terms of referral traffic your site would be getting. It is the users who visit your site, spend time and link back naturally that will bnefit your site. Make sure the URL, site navigation and complete site structure should initiate easy linking. Users should not get confused as to which page to link or how to link. A best approach is to add a link to us embed code for easy linking. Advertising on all fronts is immensely helpful in popularizing your brand. All forms of advertising, whether online or offline should be done actively. Also, affiliate marketing helps to increase the visibility of your products and services. Increased visibility means more chances of backlinks. Nothing is more useful than content in order to earn a backlink. Your site's content should be your first priority. Make the content user friendly as well as search engine friendly. Anything that is unique receive maximum exploration by the people. Create NEWS by telling what is not told before, also in a manner that is not done before. 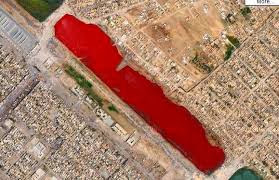 This would be unique enough to grab the attention of thousands of eyeballs. More visibility and attention means additional opportunity of receiving natural links. Make use of Google Trends and Twitter Trends to find out the areas where people are already exploring. Create content and share content on your social media channels related to those areas and see the people react for you. 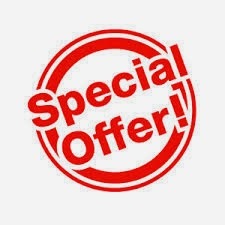 Why not create monthly offers and get social love by sharing them on social channels. Offers excite audiences and these are the first to get shared by general public. Create great offers, offer something FREE and start counting your backlinks. It would not be a bad idea to tie up with Press and journalists in order to promote services, offers and news related to your brand. The more the number of pages on your site, the greater the chances of getting a backlink. Adding a forum section will be a huge bonus for your site as it will help your site to have community generated content, thereby increasing opportunity of earning links. 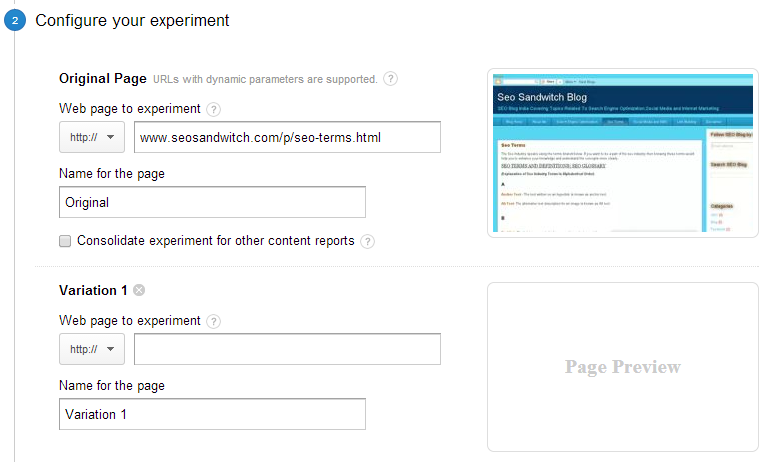 Similar to the forum section, adding a QA section will boost up the visibility of your site on the search results. Additional visibility will add more chances of earning backlinks. The world is going mobile and you cannot lag behind here. Your brand must have a mobile app. Encourage FREE downloads of your brand's mobile app and see how many links you receive this way. 25- Create "Top 10 Lists"
To solidify your content marketing strategy, you need to add a special section of "Top 10 lists" on your site. 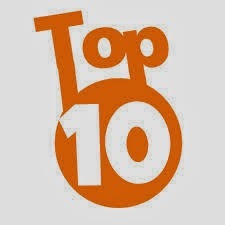 People simply love to read and share "Top 10 lists". How about creating a special reference page of industry related terms? You would be shocked but many well known organizations and educational institutions often link back to terminology references. Why miss this opportunity? This work would take a lot of time and research but believe me it would be worth the investment. People often search for biographies of renowned people. Having them on your site means more visits and more opportunities of getting backlinks. One secret is, you can receive links from Wikipedia this way. People might get some unique information about any renowned personality and add them into Wikipedia, thereby linking back to your site as a source of original material. Bloggers are the most powerful community on the web.It would be a great idea to sponsor blogger meets and receive popularity for your brand. It is possible that some blogger might not forget the sponsor and as an appreciation might link back to your site. Evergreen content are content which never become stale. They always remain fresh and hence are the source of backlinks. The more evergreen content you have in your site, the better would be the chances of earning a backlink. Last but not the least, addition of content must be regular, content must be shareable, content must be shared on social media channels for better exposure of brand. This initiate the spark that converts into fire of getting a backlink. Every business owner needs to make sure that people know his or her business exists, what it does, how to find it, and how to get in touch. It's called marketing. Social media marketing - the strategy of using social media to drive traffic to your website and, therefore, your business - is the newest and arguably the most powerful incarnation of this concept. It may seem counter-intuitive to pay for social media marketing since Twitter, Facebook, and Pinterest are free, but a good marketing strategy that gets the most out of these powerful tools in a way that matches your business plan is not easy and may cost some money. Follow this guide to budgeting for social media marketing. Good software is at the heart of every budget - and the good news is, this aspect of your social media marketing budget shouldn't impact your budget at all. Free, web-based programs such as Mint.com not only don't cost anything to join, but since they're web based, there's no installation or maintenance. Your goals, current funds, and strategy for your social media marketing budget can all come together in a crisp, image-driven interface that was designed for the novice. The software's tagging function allows you plug each expenditure into a different category automatically so you can see exactly what you're spending, saving, and where. No matter what your politics, your government is there to serve you - and in the case of the Small Business Association, or SBA, it actually does serve small business owners. Among the SBA's many sections of articles, expert advice, forms, and tax help is the SBA's Social Media section. This is truly an excellent resource, replete with information including how to get started with social media marketing. This section will help you find the medium that matches your customer base, and make the most out of your marketing dollars. If you have a business and a Facebook account, you should have a page for Facebook for Business. Facebook's business platform is a powerful medium for business owners to create brand awareness, engage in dialogue with their customers, and place targeted ads. 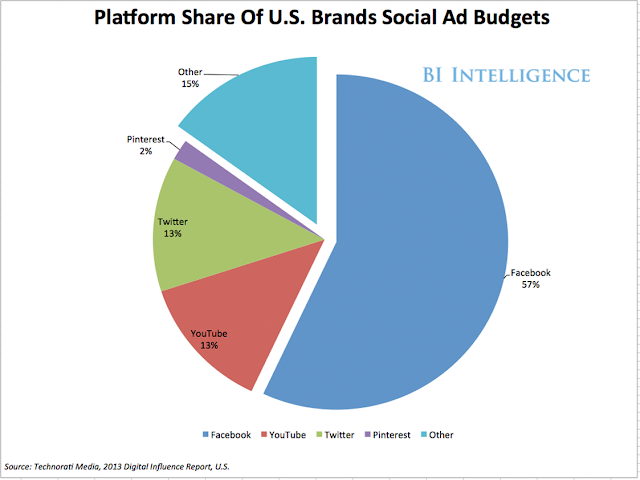 These ads are the backbone of Facebook's business platform - and when they're done well, they work. Make sure to reconsider your current ad strategy and make room in your budget for Facebook ads. Social media marketing has the potential to reach more people - whether they're potential clients, customers, or partners - than any other medium in history. The world is increasingly linked through these sites, and every business owner needs to consider creating a budget to get the most out of their marketing strategy. Budget well and spend wisely. Google Analytics has recently introduced a new feature of "Content Grouping" which allows the webmasters to group content into logical structures. Grouping the content helps the site owners to take informed decisions about specific categories on their site as a group as opposed to taking decisions on a page level basis. This is simply excellent and is a good move by Google. For example for a retail clothing site, you might group content into men and women, then on each of these groups, we can create sub groups like T-shirts, jeans, outerwear and shoes. 1- By modifying the tracking code by each group you want to track. 3- By creating Regex (regular expression). After you have set up your content groups by using any of the above methods as listed above, you can see content groups as a primary dimension in your analytics dashboard. Santa Claus is out for distributing sweets and presents to all of you. You can track the current location of Santa with Google's special Santa Tracking Tool for Christmas. 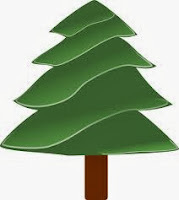 Seosandwitch.com wishes all its readers MERRY Christmas 2013 and a very Happy New Year 2014. Keep reading and keep enjoying your life to the fullest. May Santa fulfill all our wishes. 19- You can make Google look loopsided by entering the word "Askew" in the search field. 20- Google loves barrel roll. Don't believe me? Just type in "Do a barrel roll" in the search field and see Google do a barrel roll for you. 21- Google can melt! Yes, go on and type the words "Zerg Rush" in the search field and you will see all the search results getting melted by the letter "o". Simply amazing! Isn't it? 26- The domain name 'Google' was a mispelled name. 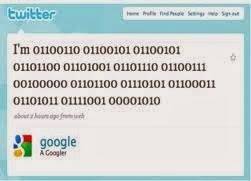 originally, Google founders Sergey Brin and Larry Page had decided on the name "Googol" which means digit 1 followed by 100 zeros. However, when they were booking the domain name, they mispelled it to Google and hence the world's best search engine was named. 27- Originally Google was known as "Backrub" when it was created by Larry Page and Sergey Brin. However, the founders decided to rename it later. 33- You can ask Google to translate one word into another language. Just ask Google "translate apple to spanish" or "translate baby to Italian" etc. Google will quickly translate the words in the language of your choice. 34- Chuck Norris jokes never grow old and Google cannot even find Chuck Norris. Let's play the game of hide and seek! Type in "find chuck norris" in the Google search box, click on "I am feeling lucky" and see what happens! 35- If I ask you, "Which is the loneliest number? ", you will surely get confused but Google won't. Google returns the answer one when we type "the loneliest number" in the search box. 36- Feeling bored while working for long hours. Do not worry, you can play Atari Breakout any time on Google. Type in "Atari Breakout in the Google search box and move to image searches. Play the game! 38- Have you ever found a search engine more easier to use than Google? I am sure you haven't. But, there are people in this world who find it hard to use Google and this is the reason a good percentage of people type in "how do you use Google". Just type in the first 4 words and first letter of the fifth word, you will see Google returning search query "how do you use Google". 44- You can track the status of your package by directly entering the tracking number in Google. The mode of purchase should be electronic. 46- The image below depicts the earliest Google. 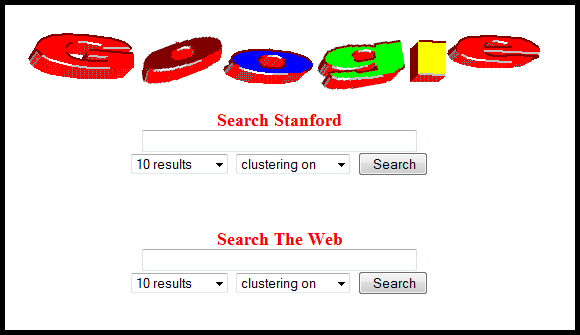 It provided an interface for searching Standford University documents, the alma mater of Google founders. 48- The “Did you mean” feature in Google almost doubled its search traffic. 49- Google has a simple home page because Google’s founders Larry Page and Sergey Brin had little knowledge of HTML. But, the simple design gained so much popularity that they never changed it. 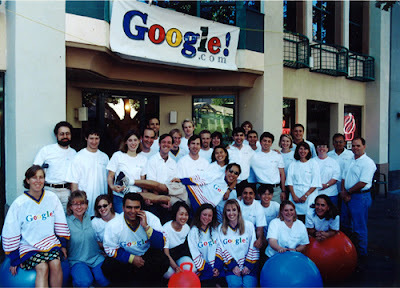 50- In 1999, Larry and Sergey were willing to sell Google to Excite CEO, George Bell for under $1 million. However, Bell declined the offer and see where Google has reached now! 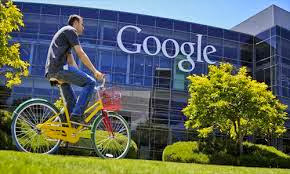 51- Google employs the largest network of translators in the world.